An early 20th century Cut glass and silver plated Lemonade Jug with original glass and silver plated ice container. 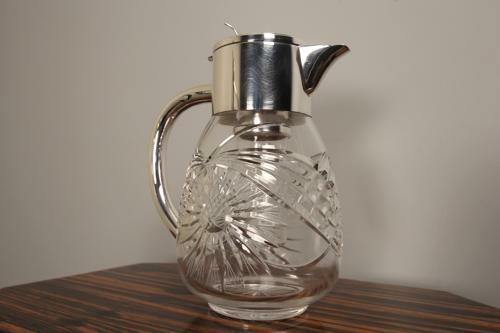 The jug with a large plated handle and cut glass decoration throughout the Jug including the base. In lovely original condition throughout. English, Circa 1920.